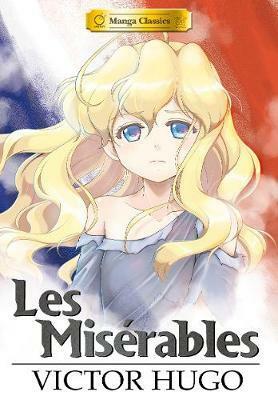 * Adapted for stage and screen, loved by millions, Victor Hugo's classic novel of love & tragedy during the French Revolution is reborn in this fantastic new manga edition! The gorgeous art of TseMei Lee brings to life the tragic stories of Jean Valjean, Inspector Javert, and the beautiful Fantine, in this epic adaptation of Les Miserables! Victor Marie Hugo was a French poet, novelist, and dramatist of the Romantic movement. He is considered one of the greatest and best-known French writers. Outside France, his best-known works are the novels Les Mis rables, and The Hunchback of Notre-Dame. Crystal S. Chan is an award-winning author and television screen play writer. She holds a degree in language and literature. Crystal is a huge fan of authors such as Jane Austen and she is equally passionate about Sailor Moon. Her passion for classic literature combined with her love of the comics medium allows her to strike a solid balance between preserving the depth of the original content while adapting the language for a younger generation. Sunneko Lee is a talented artist who works in two worlds: comics, and animation. At an early age she made her professional debut as a comic strip artist before moving to character design and story board artist. Sunneko work for the Manga Classics project allows her to celebrate her passion for the comic arts. Lee's artist alias, Sunneko, combines her love of cats and the warmth of the sun (Neko is cat in Japanese).